Newcomer Family Obituaries - Crystal Dellenbach 1970 - 2018 - Newcomer Cremations, Funerals & Receptions. Crystal Dellenbach, 48, passed away on Saturday, September 8, 2018 in Columbus, OH. Crystal was born on April 30, 1970 in Columbus to the late Harold Dellenbach and Mary (Wears)Dellenbach. 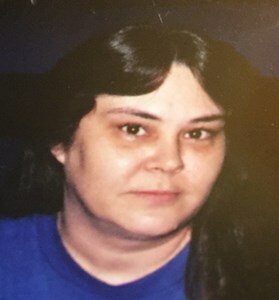 She is survived by her children, Brandon Estep and Brittany (Kevin Meyer) Dellenbach; granddaughter, Harmony Estep; mother, Mary Dellenbach; siblings, Cindy (William) Shanahorn, Albert (Patricia) Dellenbach, Harold (Amy) Dellenbach, Jr. and Kenneth (Rebecca) Dellenbach; numerous aunts, uncles nieces and nephews. Family will receive friends on Monday, September 17, 2018 from 12 pm to 2 pm at Newcomer Southwest Chapel, 3393 Broadway, Grove City, OH 43123. A funeral service will immediately follow at 2 pm also at Newcomer Grove City Chapel. In lieu of flowers, donations may be made to Newcomer Funeral Home to assist the family with funeral expenses. Add your memories to the guest book of Crystal Dellenbach. My favorite memory was one of the days crystal was taking brittany and I to work in westerville and brittany and I had distracted her to the point where she missed her exit and we thought we were going to end up in Cleveland. It was so innocently funny and we laughed and joked about it for so long. Crystal, you were a second mom to me growing up and I know now you're happy with grandpa.